STAFF, parents, carers and children at Staple Hill Primary School took part in the national Let’s Get Cooking Cookathon challenge. A total of 388 people took part in the event at the school, preparing chicken biryani or the vegetarian alternative. The children learnt about healthy eating, safe preparation skills like cutting, chopping and frying. Once they had cooked the biryani they joined their peers, adult helpers and teachers to eat their delicious creations. 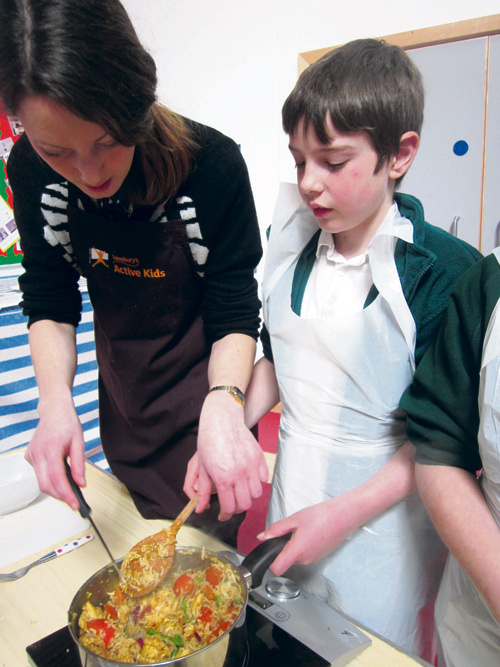 The aim of the project, organised by the Children’s Food Trust, is to encourage families to cook healthy meals at home – and it has already paid off. Deputy head Arwa Said said one parent had already contacted the school after the event to ask for the recipe, saying that her child had never been willing to try curry but he had enjoyed the dish so much he wanted his mother to make it with him at home.